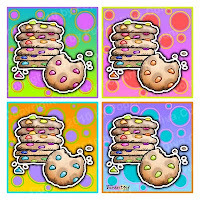 Is your favorite cookie an Oatmeal Cookie? If so, then you're in luck today because it's National Oatmeal Cookie Day, a day for you to enjoy your oatmeal cookie any way you want. 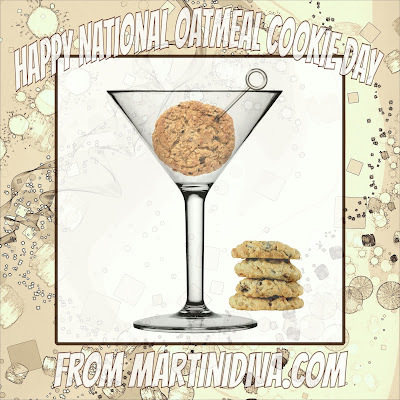 My Oatmeal Cookie Martini gives you a chance to drink your cookie. 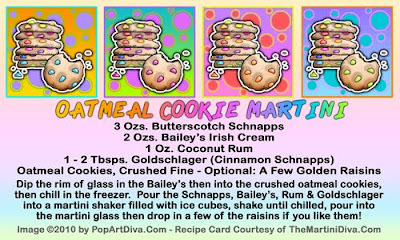 You can even add a few raisins as garnish if you're an Oatmeal Raisin Cookie fan. Prefer Chocolate Chip Oatmeal Cookies? No problem, crush up some chocolate chips and mix those in with your crushed oatmeal cookie rim!